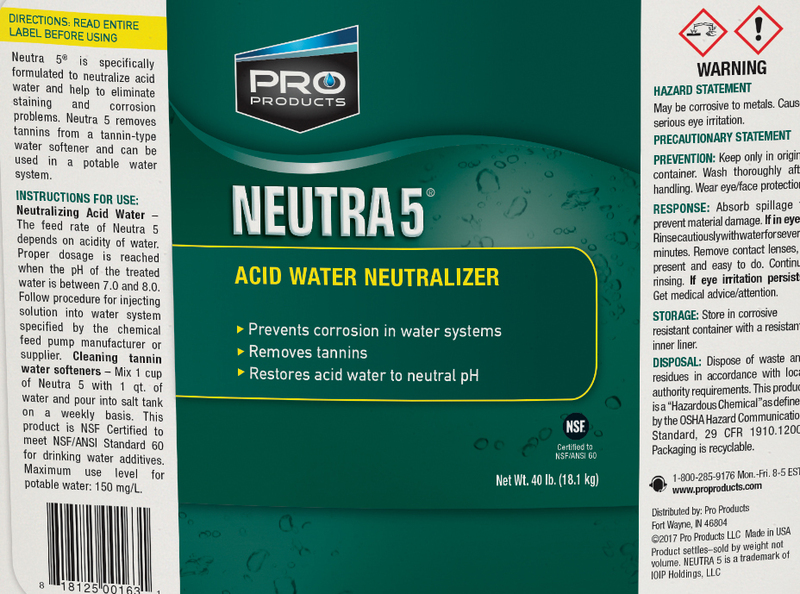 Pro Neutra 5 is a highly alkaline compound which serves as an acid water neutralizer in potable systems. This helps eliminate corrosion from piping, pressure tanks, water heaters and fixtures. 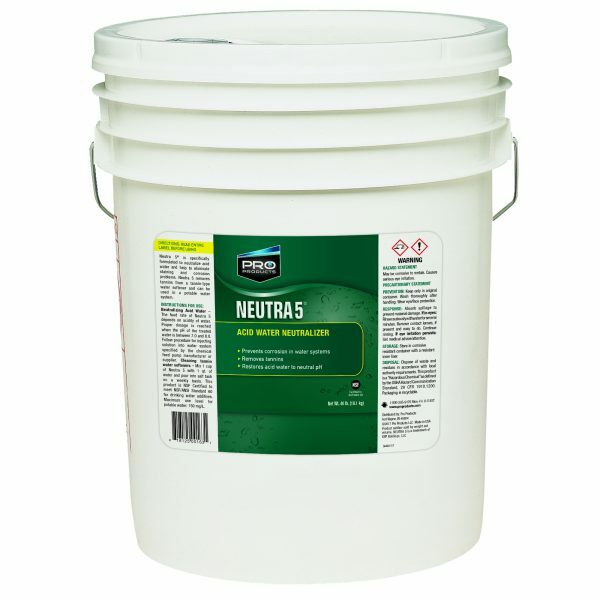 A Neutra 5 acid water neutralizer solution injected into a water system will neutralize acid water and prevent corrosion. 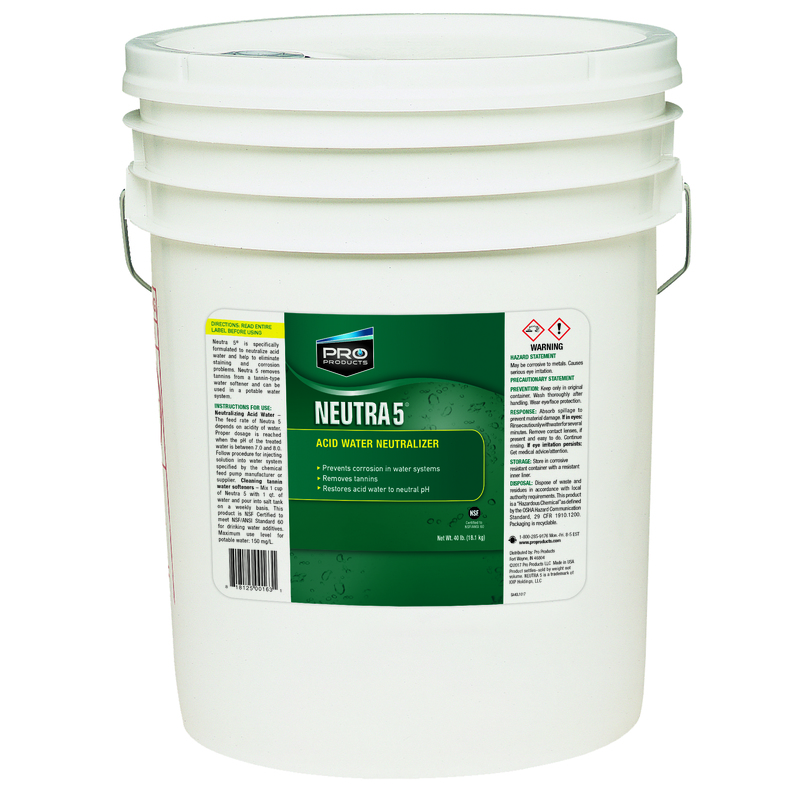 Pro Neutra 5 is NSF Certified to meet NSF/ANSI Standard 60 for drinking water additives. Available in a 40 lb size.